We said two days ago that it’s been a tough week for anybody who needs to heat their home or put gasoline in their cars in Britain. 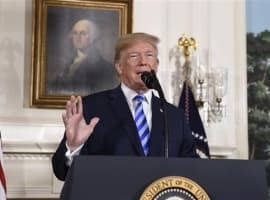 The litany of negative events and mishaps includes extremely low temperatures, the shutdown of the Forties pipeline due to a hairline crack and an explosion at one of the Europe’s biggest gas hubs in Austria, which further tightened UK supplies. 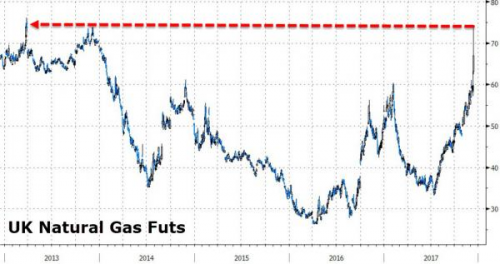 As we noted, the price of gas futures surged by the most in 8 years. The timing of the gas hub explosion, as we head into Winter, couldn’t have been worse either. However, adding insult to injury, the UK lacks gas storage capacity and the web of interconnections that link markets across Continental Europe. And…Centrica is closing the nation’s biggest storage site after more than 30 years. The question was, where could the UK secure alternative supplies. It takes about two weeks to bring LNG from Qatar, the U.K.’s biggest supplier of the super-chilled fuel. Only one tanker, the Bu Samra, is confirmed as arriving in the U.K. this month. The first tanker from Russia’s Arctic plant Yamal LNG may also head to Britain and would arrive in about five days, according to shipping website sea-distances. 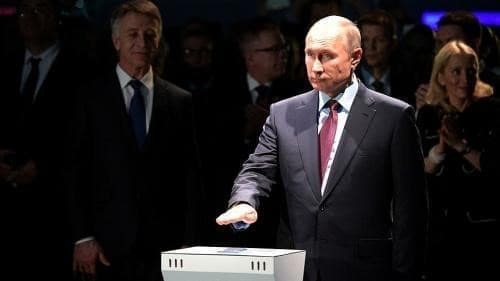 The photo below shows Russian President, Vladimir Putin, personally giving the order to begin loading the first export shipment of Yamal LNG onto the world’s first icebreaking LNG carrier, the Christophe de Margerie. British homes are set to be heated over the new year with gas from a Russian project targeted by U.S. sanctions, as the shutdown of a key North Sea pipeline slashes domestic output and sends utilities and traders scrambling for supplies. The first tanker of liquefied natural gas from the Yamal LNG project in Russia’s Arctic, which was opened by President Vladimir Putin last week, is making its way to the Isle of Grain import terminal in Kent as UK gas prices soar. The shipment of the super-chilled cargo to the UK, which was originally expected to go to Asia, will be cheered in the Kremlin, where the Yamal LNG project has been held up as evidence that it can withstand western sanctions. 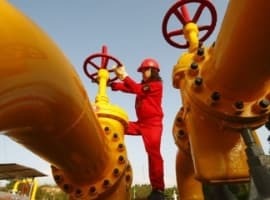 Moscow has insisted that Europe will remain reliant on Russia for gas. The UK government has taken a tough line on Russian sanctions since Moscow first intervened in Ukraine nearly four years ago, and Theresa May, prime minister, has stepped up criticisms more recently, accusing Moscow of meddling in elections and attempting to “weaponise information” to undermine the west. So, using a third party gives the UK leeway to say, essentially “It’s not me, Guv’nor”, to use the cockney vernacular. The FT asked an analyst at the respected Wood Mackenzie consultancy for his opinion. Frank Harris at Wood Mackenzie, an Edinburgh-based energy consultancy, said that the shipment demonstrated that the UK was now reliant on a market-based import model for its gas supplies. “There’s great flexibility in that model, but ultimately you’re competing with other countries on price for supplies,” Mr Harris said. Having been loaded last Friday, the Christophe de Margerie is currently sailing past the northern coast of Norway. As commentators are pointing out, it could still be redirected if someone is willing to pay a higher price for its gas. The way the UK’s luck has gone recently, that’s probably a pretty good bet. 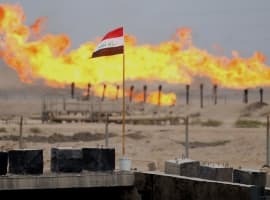 Three things sticks out here, first the fact the US and UK tried to stop the development of this gas plant and now UK engulfs the gas from there. Secondly the name of the russian ship - Christophe de Margerie. Thirdly it illustrates the EU dependency on imported energy, 54% of the consumption is imported.The energy imports and consumption within the western world needs to be correlated to most of the sanctions, wars and media subversion that our leaders gets us involved in. Sad to say, but that's how it is.